Live From Here has announced that the musical guest for their live show in Detroit will be Lord Huron. Currently on tour promoting their third album Vide Noir, the band will pause to join Live From Here host, Chris Thile on stage at the Detroit Opera House on Saturday, February 23, 2019 at 5:45 p.m.
Lord Huron is known for their dreamy, indie folk music inspired by nature – and a connection to the Great Lakes. Founded by native Michigander Ben Schneider, the band’s name and many of their songs have been inspired by the travel and nature that Schneider experienced as a kid being raised in Michigan. The event featuring Lord Huron will be the first time the Live From Here show will bring their live broadcast performance to Detroit. 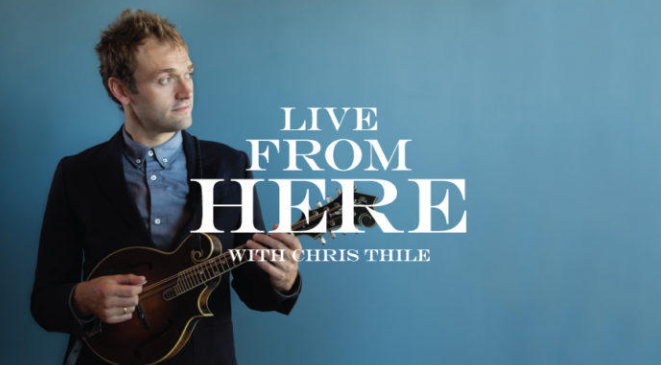 Hosted by acclaimed mandolinist Chris Thile, Live From Here welcomes a wide range of well-known and up-and-coming talent to share the stage and create a beautiful listening experience every Saturday night. The show is heard by 2.6 million listeners each week on nearly 600 public radio stations.